"Your crime is that you tried to steal my world. The world I built with my hands, and my sweat and my blood. The Odyssey is a poem likely rewriting and compiling various previous stories about the homeward journey of Odysseus back home from the Trojan war. It has been read and enjoyed by people for thousands of years but most chalk it up to mythology and fantasy. While many of his adventures (with sirens and cyclopes and such) are myth, there was a framework of truth behind the tale. Thanasis Papadopulos, who has been carrying out excavations on the Greek hero's home island for 16 years, said he had discovered the remains of a three-storey palace and a well, which date back to the 13th century BC, which is when the Trojan war, described in Homer's Iliad, is believed to have taken place. The remains matched the description of Odysseus's palace in Homer's Odyssey, reputedly written around the 8th century BC, Papadopulos said. Ithaca Mayor Spiros Arsenis said Papadopulos's excavation is easily one of the most important discoveries in modern archeology. If Papadopulos has found Odysseus' home, it truly is. Kings back in 1300 BC didn't live like kings today; they were mostly just warlords who accepted the allegiance and tribute of nearby people in exchange for their protection and judicial wisdom. They lived better than others nearby did, but would tremble in jealousy at modern man's luxury. Still, the palace would be a modestly fine building of stone and much larger and more permanent than most locals enjoyed. 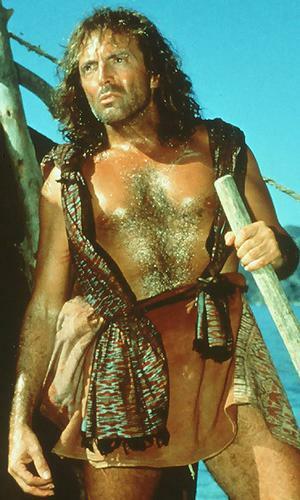 Incidentally, in 1997, Armand Assante starred in a TV miniseries version of the Odyssey if you want to see a really well done and as I understand it accurate version of the story. Or you could dig up a version of Homer's original. Its a classic for a reason. That is very cool news. Talk about a timeless tale! My kids read numerous versions and adaptations over the years - my daughter actually studied it in depth in middle school (a charter school). And my whole family will vouch for the mini-series - it really is a great production. My wife had always been aware of the story, but sort of dismissed it as "guy stuff" when she was younger. After seeing the series she was thoroughly impressed with the depth and epic timelessness of the themes. I've noticed dozens of references to the Odyssey in songs, but one immediately comes to mind: Suzanne Vega wrote a nice one called "Calypso" telling that episode from the nymph's perspective.